We are now introducing you an awesome starter kit named iJust. Just as its name, the Eleaf iJust 21700 Starter Kit is powered with a single 21700 battery. It is compatible with 18650 cell too with an adapter. It comes with an Eleaf iJust 21700 battery and an Ello Duro Tank, which adopts new HW-M2 and HW-N2 coils. The new Leakage-Proof & Self-Cleaning (LPSC) technology of two coils brings expected vaping experience to you! The four-LED indicator shows battery life precisely. This pack included a 4000mAh 21700 battery. Extra Extra! Shenzhen eCig Expo (IECIE) 2019 is coming soon! It's the 5th edition of the show based in Shenzhen, China. The first IECIE was held in 2015 and now the show has expanded to 40,000 ㎡ within just five years. IECIE 2019 is expected to attract 50,000 professional visitors and 1,500 brands from 45 countries. Wanna visit the headquarter of ecig industry and have a close contact with your favorite vendors? Then don't miss this vaping carnival. As the largest e-Cig B2B supplier, Heaven Gifts cooperates with most e-Cig brands. We will bring our latest items and hottest sales to the Expo. Thanks for your supports of HG. 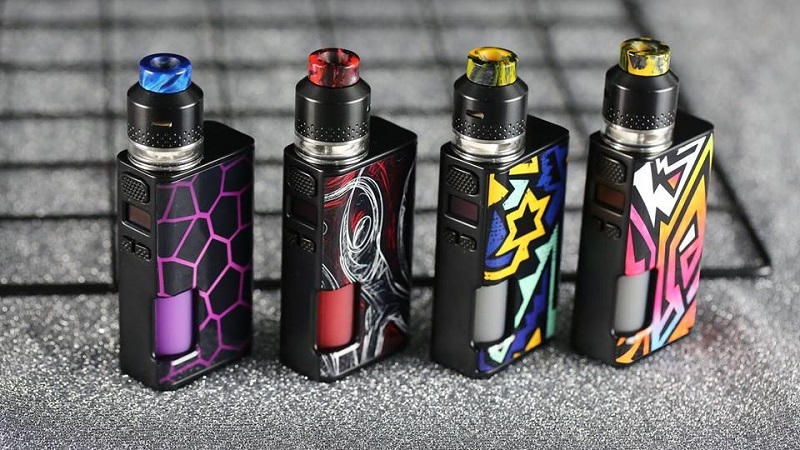 Say hello to the new member of Wismec Luxotic family, called Luxotic Surface, which is a compact squonk kit consisted of WISMEC Luxotic Surface mod and Kestrel Tank. 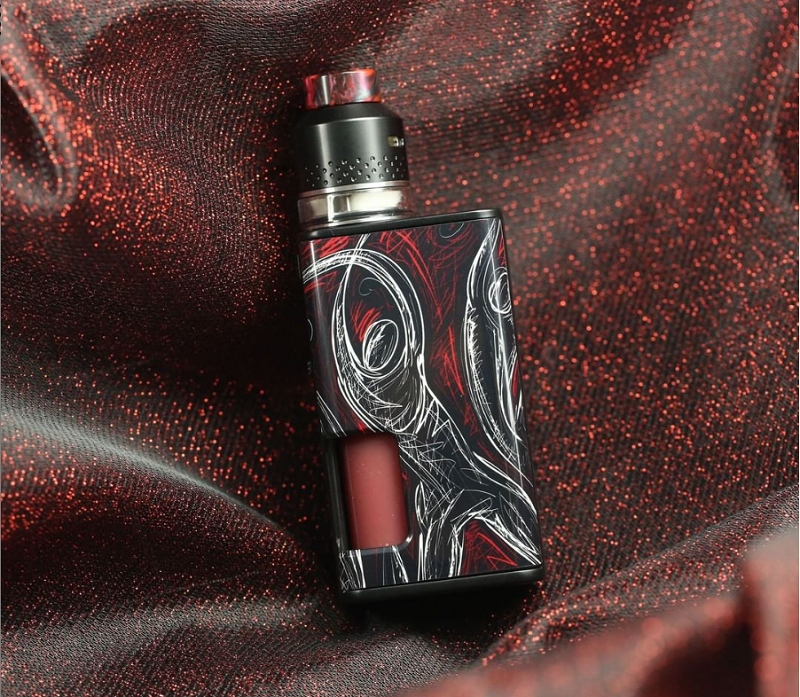 Powered by single 18650 battery with upgraded Avatar chip, the Luxotic Surface mod supports the max output of 80W with multiple working modes and 0.001s firing speed. 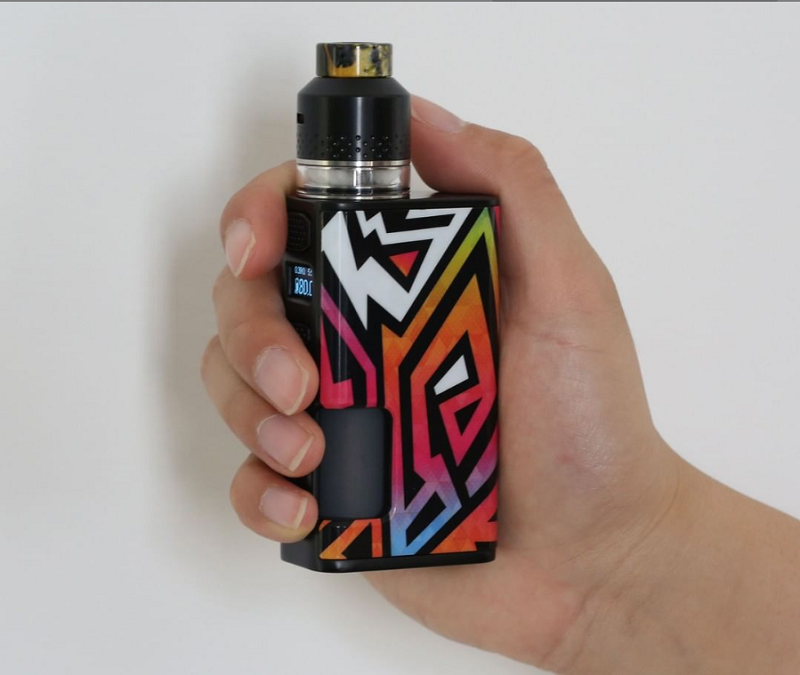 Plus 0.49 inch OLED screen, several circuit protection systems and 6.5ml large ejuice squonk bottle, it will provide you unexpected vaping experience. Coming with 2ml/4ml ejuice capacity, Kestrel tank features coil-less design with the innovative mesh heater, which enlarges its larger heating area and uniform heating for better flavor. It adopts bottom adjustable airflow system and easy slide top filling design for optimal flavor and convenient operation.If you’re a squonk lover, don’t miss this great Luxotic Surface. 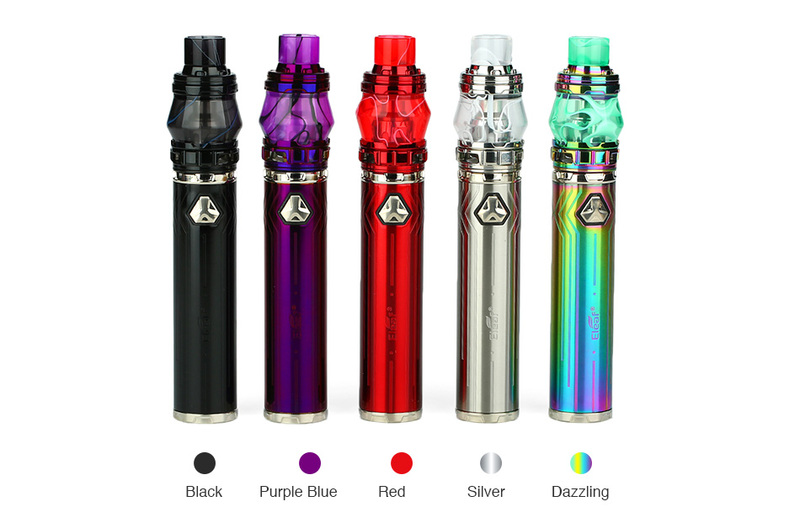 We are now introducing you the latest resin starter kit from SMOK, called Trinity Alpha Pod Kit. It comes with attractive resin panel and replaceable coil system, so it is an economical device for daily vape! The SMOK Trinity Alpha Pod Kit powered by an inbuilt 1000mAh battery, compatible with Nord coils, so you will enjoy an amazing vaping experience with mesh coil and MTL coil. The SMOK Trinity Alpha adopts innovative push-up-type filling design, making refill easier too. It features three power levels, Soft/Norm/Hard, to meet your different vaping needs. There are 6 colors for selection. 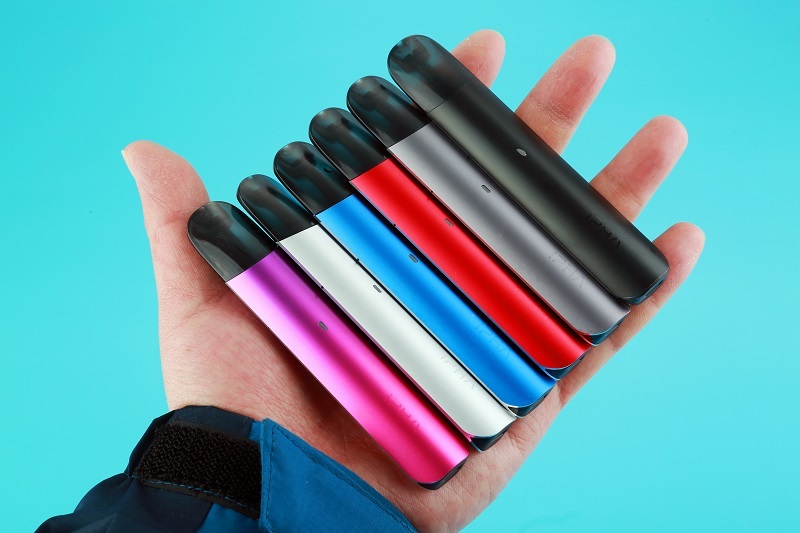 Introducing Justfog Compact 14 Kit, it combines with the 1.8ml Justfog Q14 Clearmizer and a built-in 1500mAh rechargeable battery with 3.6V constant voltage output method. So the greatest advantage of the Justfog Compact 14 Battery is that it can work more than two days because of the 1500mAh battery and 3.5V constant output voltage. Justfog Compact 14 also comes with LED battery indicator light and various smart battery protection functions, which can bring safe vaping. Paired with the 14mm Q14 atomizer featuring the adjustable bottom airflow control and the coil short protection function, the Justfog Compact 14 Kit can bring you simple yet amazing vape with durable working time. IJOY brings a new resin starter kit with exquisite shape, named Mercury Resin Starter Kit, which suit for most nicotine salts vapers! IJOY Mercury is an exquisite resin pod system starter kit for huge vaping clouds production. Working with built-in 1100mAh 13550 battery, the IJOY Mercury can bring you durable vaping time with quick firing speed. Together with the unique custom user mode and comprehensive protections, the IJOY Mercury Starter Kit is really functional. Paired with the 2ml IJOY Mercury tank which featuring the easy top refilling design and Mercury 1.0ohm mesh coil, it is really suitable for MTL vaping and nic-salts vaping. 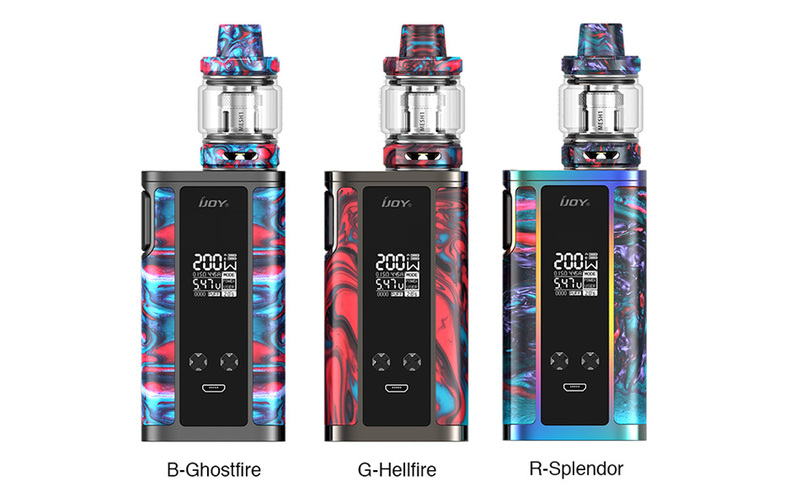 Presented by IJOY, the latest Captain Resin 200W TC Kit is right here for you! It consists of a Captain Resin 200W MOD and a Captain Resin Sub-ohm Tank. You will get it clearly from its name that Captain Resin brings various attractive resin patterns on both tank and MOD. It works with dual 20700 cells and reaches a max 200W power. The Captain Resin Tank comes with new MESH series coil and it is also compatible with IJOY Katana/Diamond/Captain X3 Replacement Coil. 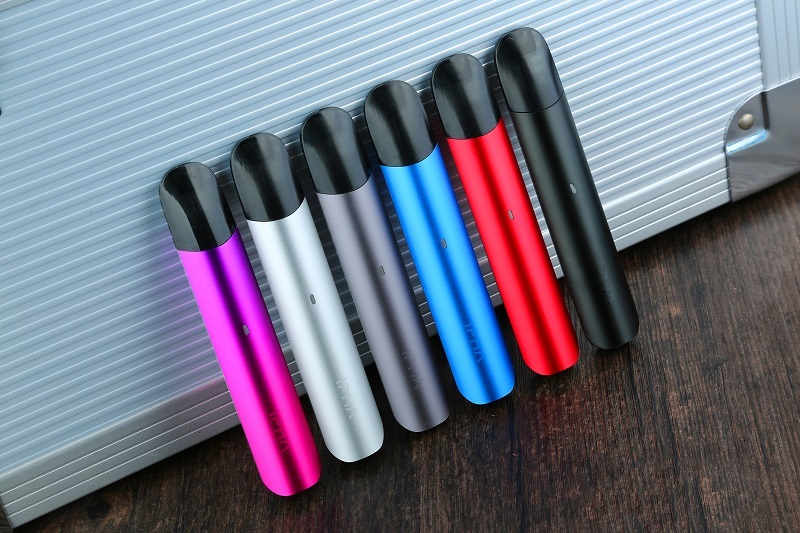 With retractable top refill and bottom airflow, you will acquire a superior vaping experience! 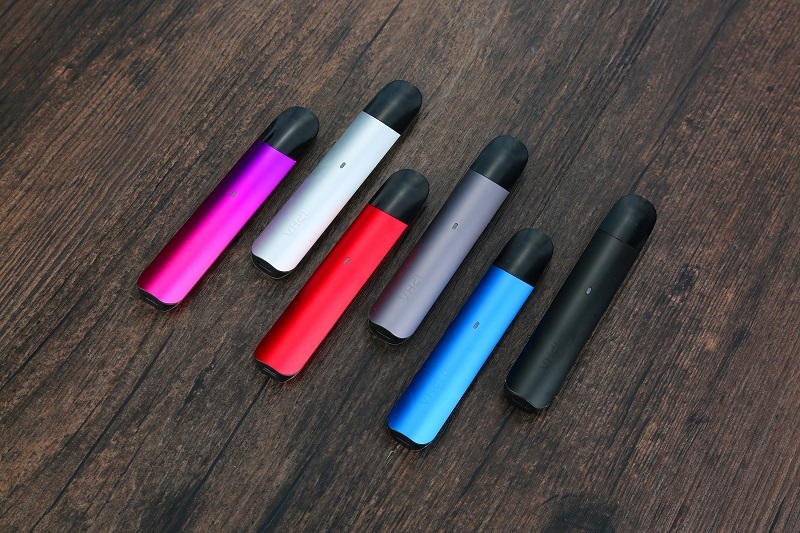 After the elegant Swis kit, IPHA brings us another portable and trendy pod kit, called Zing. With the compact size, it’s easy to hold and carry. The combo of 350mAh rechargeable battery and 2ml refillable pod can meet your daily vaping life. Zing features the built-in advanced anti dry hit technology for best vaping experience. The 7-10W power output with multiple protections ensure you a safe and stable vaping. Besides, it adopts SS316 0.8ohm coil, which is perfect for nicotine salt lover to enjoy the purest flavor and strong throat hit. 6 colors in available.